Now you can make long commute times productive with our fully equipped Mobile Awfis. Motown India took a tour and captured the functionality and amenities of this unique offering from Awfis. 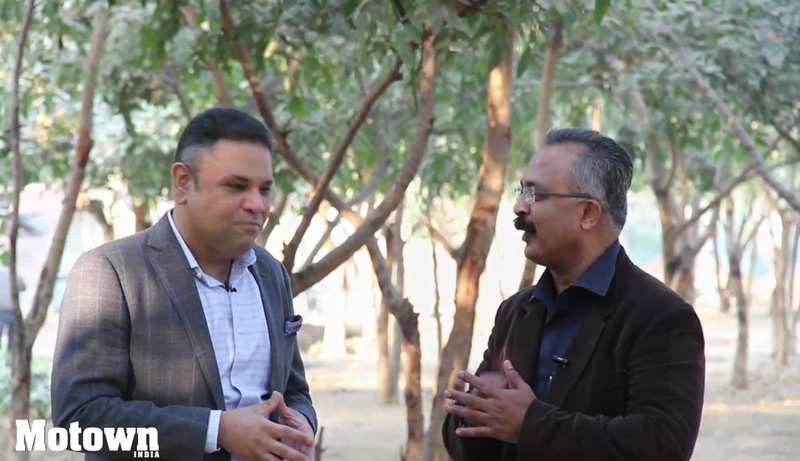 Watch the full video to know more about their experience. This Awfis coverage appeared in Motown India on December 17, 2016 under the title ‘Office on Wheels: Awfis’. Awfis, Awfis...Now That Sounds Interesting! I am sure many of you may have watched the ‘Office Office’ sitcom on television in the past and may have thoroughly enjoyed it too. But in the real world of office, things are never so exciting and easy. Beginning with the task of driving through thick traffic, spending hours in unending traffic jams, experiencing the pains of parking your vehicle….all of these usually take a toll on your health and peace of mind. Now there is a four-wheel Awfis that’s definitely bound to make your office life beautiful. With this Awfis, you really do not have to go to your office; rather your office comes to you. AWFIS is positioned as the new age office that is providing the ecosystem of workspaces that caters to small and medium enterprises, individual and local entrepreneurs. AWFIS was founded in 2015, with a seed capital of $10 Million, along with investments from entrepreneur Radha Kapoor and Amit Ramani. AWFIS, which is Asia’s largest co-working solutions firm is all set to take the shared office infra segment to a whole new level by introducing India’s first ‘Mobile AWFIS’ that operates out of a van in New Delhi. 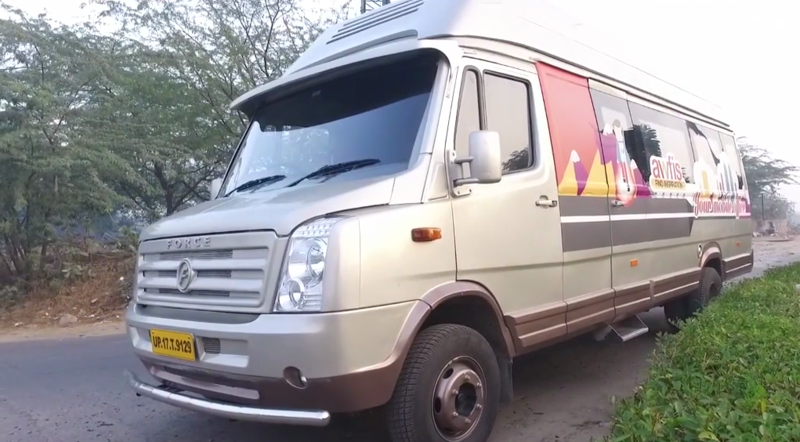 At Motown India, we made it a point to experience this office on wheels. The van was basically a Force Motors Traveller vehicle modified into a spanking new ultra modern office that can accommodate up to 8 people. It is fully equipped with work desks, meeting table, high speed Wi-Fi, teleconferencing, a printer, LCD screen, CCTV, pantry and washroom. The splendid lighting and the smartly designed furniture provide absolute comfort even during long journeys. The van is currently available for commute in Delhi and Gurugram. There is no set route that it follows within the city and the traveller is free to use as per their itinerary. Charges per day are also reasonable. These range from Rs. 4,000 for 4 hours to Rs. 7,500 for 8 hours. For every additional hour, the company charges Rs. 1,100 extra. 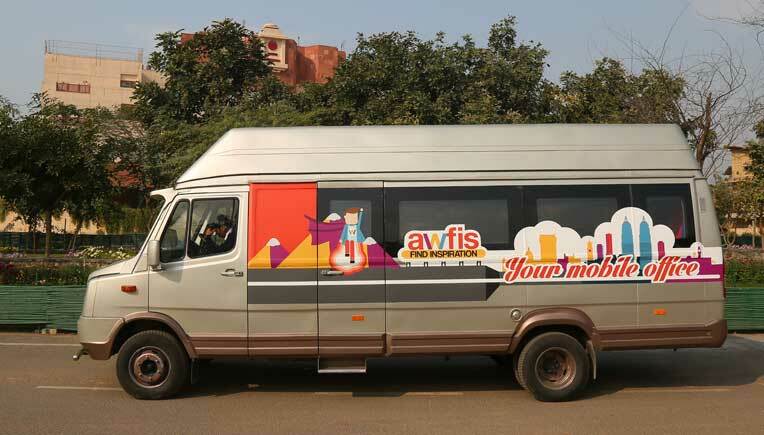 The van can be booked through the Awfis App from few hours to 2-3 days and even a week, depending on one’s requirement and the availability of the van. After having spent a few hours in the mobile van, I realised that this office on wheels offers a lot of advantages. Think of a situation where a businessman flies into the capital for a day full of meetings. He or she can pick up the clients or friends in and around Delhi in the mobile Awfis, spend a few hours or so with them in the confines of this smart office and drop them off anywhere along the way. Think of another situation where one works from home (in our digital world we are all linked through internet and computers) and your boss calls you once a month for a tete a tete. He too may be operating from his palatial house, so all he does is hire this van and meets his small team in the van. Since it’s more like a taxi, with a driver and attendant, you do not have to bother with the driving part, and the attendant can help make the coffee or heat up some food in the microwave. The mobile Awfis is very spacious and does not give you a claustrophobic feel even when a few of us got in from the office. The seats were very comfortable and some of them were big enough to double up as a neat bed. There are charging points for your laptops and the LCD television can lift your mood when you watch your favourite movie or show. The wash room is neat and practical. This new mobile Awfis is bound to find a lot of takers in the times to come, keeping in mind the myriad advantages it offers. Awfis, Awfis…now that sounds interesting!